The Platinum Heavy Duty Curved Stairlift is ideal for people who are carrying a little more weight. 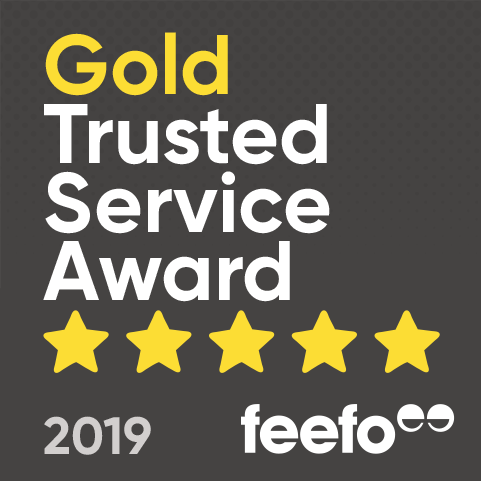 With a capacity of up to 25 stone it can accommodate 6 stone more than most standard chairlifts giving mobility and independence to people who might otherwise struggle. Hand-built in the UK it also features a wider padded seat with adjustable arms, as well as hardened acetyl rollers to ensure a smooth and comfortable ride. Additional legs placed on the rail make it stronger and more stable. In common with the standard Platinum Curved the Heavy Duty model has a PDMC motor to make sure every ride is smooth and trouble-free. You can be sure of a gentle and secure ride around corners thanks to its twin rail mechanical levelling system and special rail bending process. And an inbuilt safety brake means you don’t have to worry about travelling too fast on the way down. 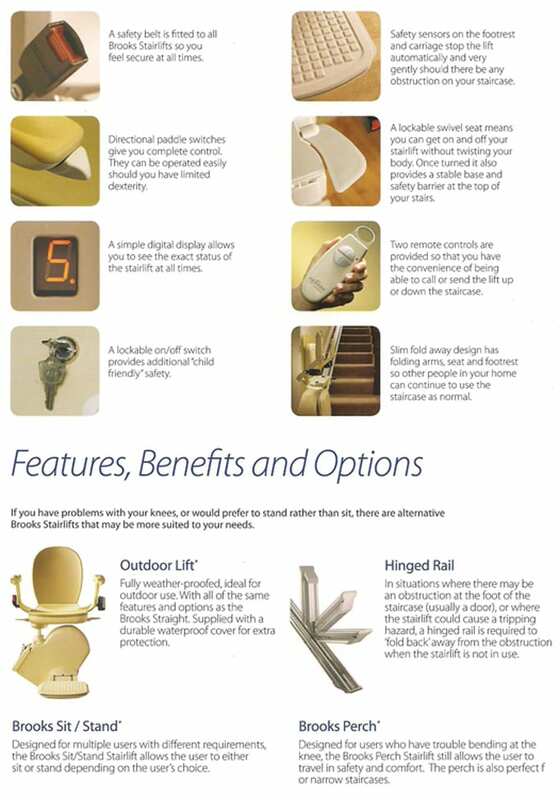 Safety and ease of use are features of the Platinum Curved HD, which comes with a retractable, car style seatbelt as well as pressure sensitive safety edges to bring the stairlift to an immediate halt if it comes into contact with obstructions. The seat can be swiveled away, making it easier to get off at the top of the stairs, and the equipment also has a key-switch to prevent young children setting off on an unauthorized journey. 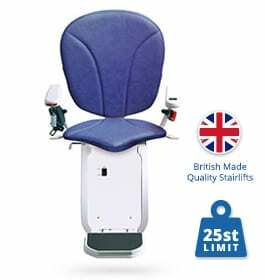 The HD model also comes with all the usual features found in standard Platinum Curve stairlifts – such as battery operation, charge points at the top and bottom of the track, remote controls and an easy to use joystick control. There is also an optional powered swivel seat which folds itself away and parks on its charge point. 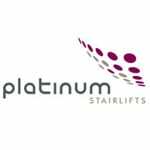 Platinum was the first UK stairlift manufacturer to design and build a dedicated curved stairlift aimed at helping to cater for the Bariatric consumer.